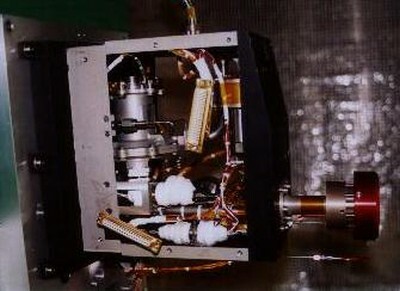 The Aerosol Collector and Pyrolyser will deploy a filter out in front of the probe to sample the aerosols during the descent and prepare the collected matter (by evaporation, pyrolysis and gas product transfer) for analysis by the Gas Chromatograph Mass Chromatograph (GCMS). Two samples will be collected: one from the top of the descent down to the tropopause (160 - 40 km) and the second sample in the cloud layer (23 - 17 km). designed to operate with precise timing.